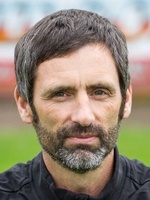 Phil Parkinson was appointed on 28 April 2017, the eve of the last game of the 2016-17 season in which Altrincham had been relegated to the Northern Premier League. 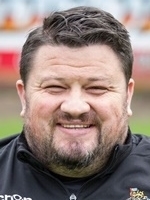 Phil arrived three days after his former club, Nantwich Town, had lost in the Evo-Stik Northern Premier League promotion play-off semi-final at Spennymoor Town. He had managed The Dabbers since February 2015 and in that time he had transformed them from a relegation-threatended club to promotion contenders. Phil also took Nantwich to the FA Trophy semi-finals in 2016. As a player, he was a junior at Crewe Alexandra, and then at Reading, before having a year at Port Vale. He made sometwo hundred appearances for Nantwich as a player, where he captained the team that won the FA Vase in 2006, as well as leading the Dabbers to promotion from the North West Counties League and UniBond League First Division. 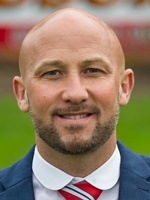 Neil joined Altrincham as Assistant Manager having enjoyed the same role with Phil Parkinson at Nantwich. He is a former Macclesfield Town and Crewe Alexandra midfielder and a work colleague of Phil's. Chris followed Phil and Neil from Nantwich where he had been since February 2015. Chris had been a goalkeeper with Port Vale and Kidderminster Harriers amongst other clubs. 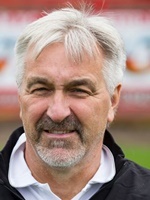 Ian was appointed Coach at Altrincham FC on 1 June 2011, having been Goalkeeping Coach at the club for a number of seasons. Ian also has vast playing experience at non-League clubs in the North-West, with his playing career including spells with Altrincham. A retired fire-figher, Ian also runs a successful sports kit supply business, SK Kits, which provides the clothing merchandise to Altrincham and a host of other clubs. 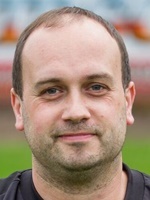 Mark was brought in by manager Phil Parkinson to provide analytical data on the players and their opposition. A fuller list of managers is here.